Located on the Central Plateau of the North Island, Rotorua is surrounded by plentiful waterways. 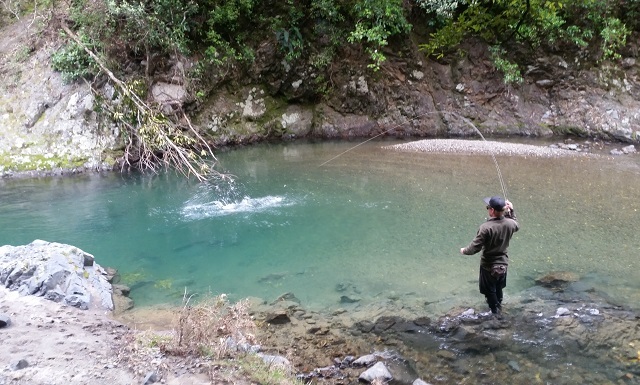 Central to my fly fishing guiding operation is Lake Rotorua and its five major tributaries, famous for both summer and winter fishing. 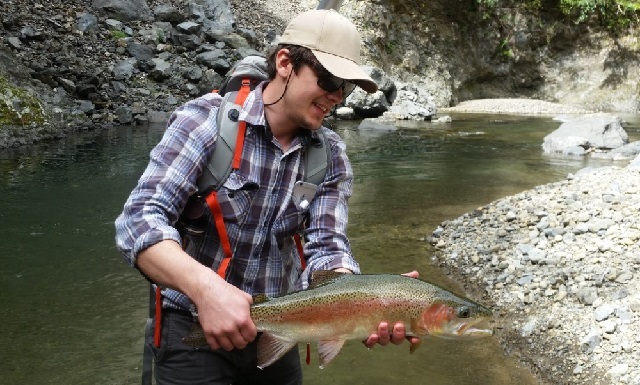 Summer fishing comes alive throughout the district with great trout fishing action in the back country and also at the local streams and lakes. 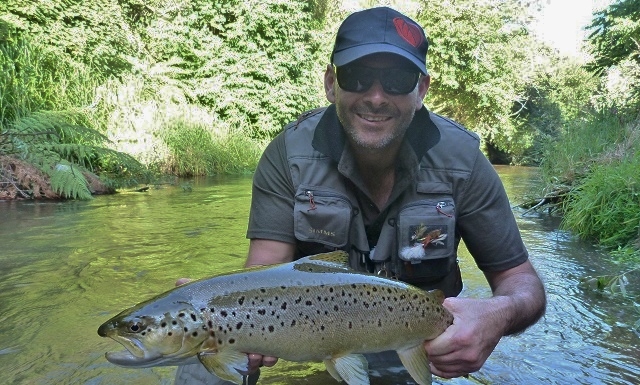 The summer season is the time to get some great dry fly action. The large numbers of cicadas hatching in the back country become a favorite food for the trout. 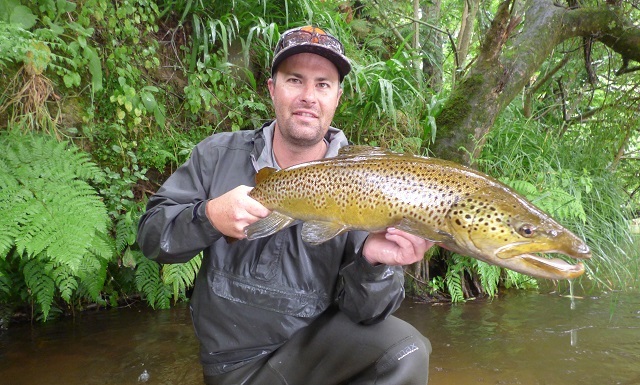 This is the ultimate time to be fishing for trout in the Rotorua region. 4wd or Helicopter are used to access the fisheries that I guide on throughout the season. 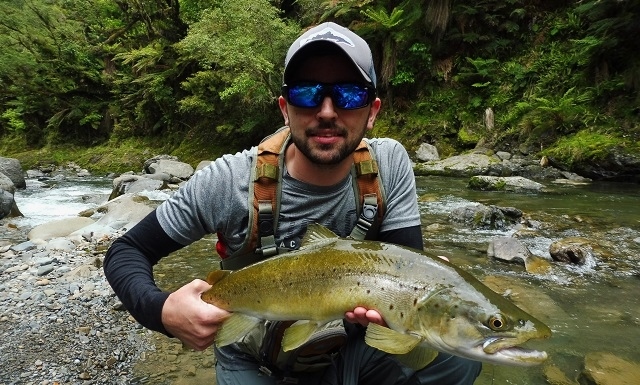 Locally the summer heat drives large numbers of trout in and around the local spring creek tributaries of Lake Rotorua. 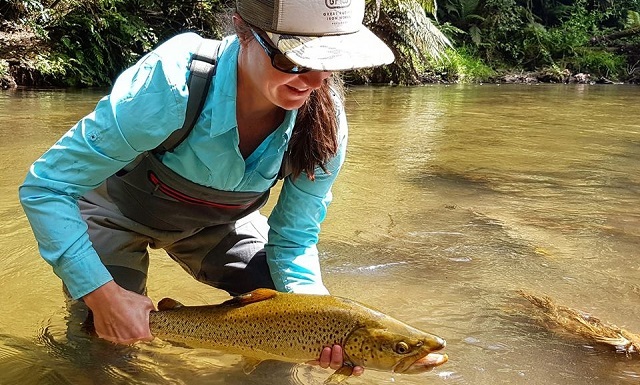 Large migrations of large brown and quality rainbow trout migrate up the local spring creeks to spend most of the summer through to the spawning season (April-September). The river mouths some years have hundreds of trout seeking the sanctuary of the cool and oxygen rich stream water. This is some of the most productive and exciting sight fishing that you can experience if conditions permit. 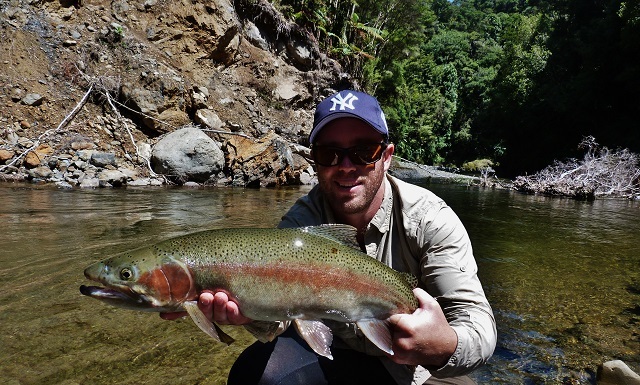 Wet weather during the autumn and winter months drives world class spawning runs of both brown and rainbow trout. 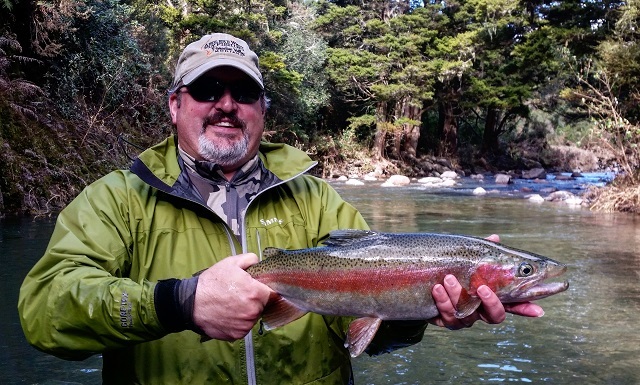 Winter fishing for spawning trout is a highlight of the local fisherman’s season. 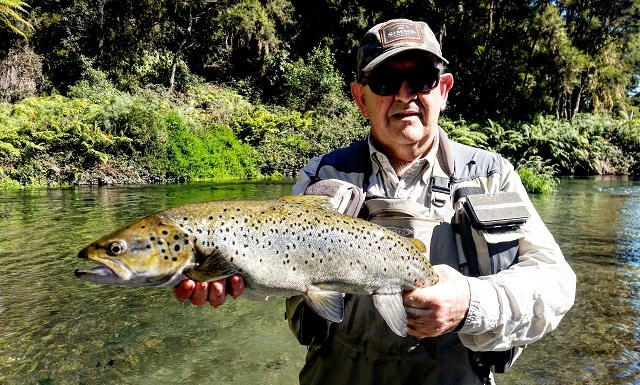 Rivers, streams and lakes full of prime conditioned spawning trout with a healthy combination of numbers and size of trout. When conditions align it can be something special. 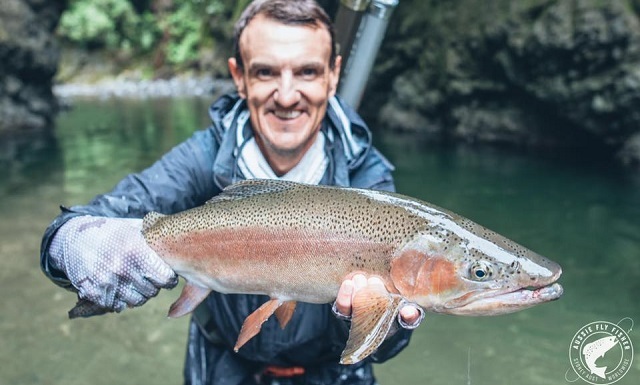 Trophy trout are targeted in the waterways of the Rotorua region with fish over the magical 10lb – 4.5kg not uncommon. 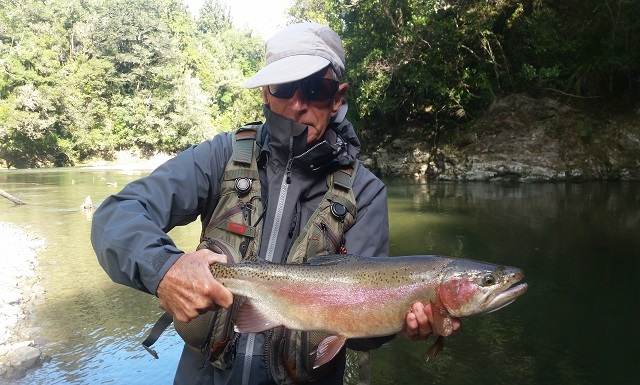 From late April to the end of June there is a great chance to catch both rainbow and brown trout trophies in the same day. The warmer months are a fantastic time of year to head back country into the wilderness by helicopter access. 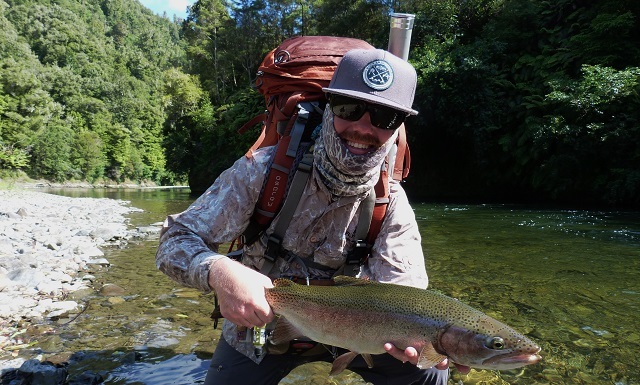 Heli-fishing is the ultimate New Zealand fly fishing experience, gaining access to fly fish in some true wilderness rivers and streams we have in the greater Rotorua region. The fish are always on the lookout for their next meal on the surface of gin clear water fisheries with great sight fishing in stunning surroundings. 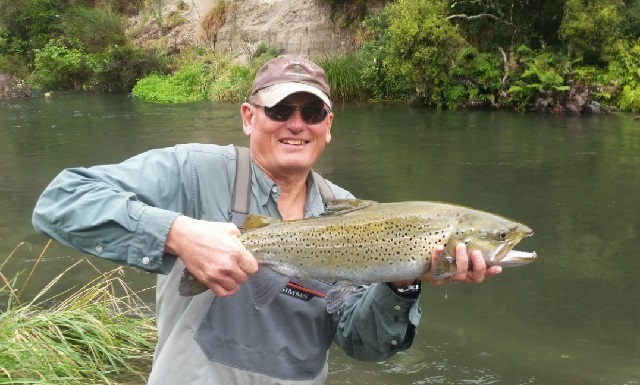 Book your Rotorua Fly Fishing Guide Julian Danby for a great trip in the Rotorua District of New Zealand.